Standing atop the Tour De France podium on the Champs Élysées in 2005, Lance Armstrong publicly addressed his critics, saying he felt sorry that cynics of the sport could not “dream big” and “don’t believe in miracles”. A decade later, the situation is completely different, and the man that once stood on top of the world is now, rightly, in the depths of degradation. Conducting his first interview since admitting to doping, fans of Armstrong learnt a great deal about the man they once idolized. While talking to the BBC’s Sport Editor, Dan Roan, the 43-year-old father of five displayed a blatant lack of remorse and contrition for cheating his way to seven Tour De France victories. This interview came at a time when many have been calling for a reduction of Armstrong’s lifetime ban. Pat McQuaid, former Chief of the Union Cycliste Internationale (cycling’s world governing body) publicly stated that Armstrong has been unfairly “made a scapegoat” and was subject to a “witch-hunt”. Similarly, former teammate Scott Mercier believes that Armstrong remains “quite simply the best of his generation” and so should have his seven Tour De France victories reinstated. The first and most striking feature of the interview was Armstrong’s physical appearance. Whether this is due to his illness, his years of drug-taking or the fact that he put his body through damaging ordeal of professional road racing, is unsure. But perhaps of greater significance was the arrogant, smart-aleck attitude Armstrong maintains, despite having confessed to being the greatest fraud in the history of sport. When asked whether he would do it again, Armstrong responded by saying, “If you take me back to 1995, when it was completely and totally pervasive, I’d probably do it again”. Throughout the interview, it is clear that Armstrong is more sorry for the fact that he got caught, rather than for the fact that he was the ringleader of a drug-fuelled US Postal Team. He claimed that returning to the sport in 2009 was “one of the biggest mistakes” of his life, as “it was a bridge to the past” that eventually led to the discovery of his deception. The only thing Armstrong genuinely feels remorseful for was the way he bullied so many people in the cycling world. Talking in manner that seemed to almost divorce himself from his past, he said he would like to change the man behind those decisions; the way “he acted, the way he treated other people, the way he just couldn’t stop fighting.” Having called his former physiotherapist Emma O’Reilly a drug-addicted prostitute and labelled cycling legend Greg LeMond an alcoholic, this is not surprising. It is fair to say that Armstrong believes that he has been unfairly treated. He does not believe he received the same opportunities to confess as some of his former team-mates, stating “I don’t think anybody else from that generation had the federal agents standing at the door with a badge and a gun saying ‘you’re gonna answer our questions’”. It is baffling, and yet unsurprising, that Armstrong feels like the victim in his saga. Despite this, it seems that the reaction to Armstrong’s interview is leaning in the wrong direction. 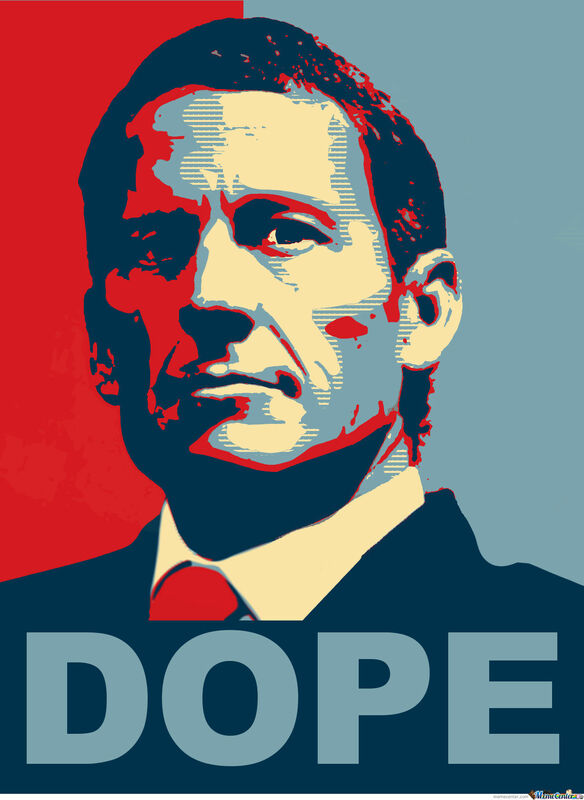 For me, Armstrong offers a fantastic avenue to learn more about doping in the cycling world. The time has come to accept the fact that Armstrong is simply an egotistical, manipulating phallus. Rather than continuing to focus on this, the cycling community must move on and attempt to learn from the mistakes of the past. After all, how better to learn about the pervasive nature of doping throughout this period than to ask the man that did it best. And it must be said that Armstrong has cooperated with investigators from the UCI over the last year. However, I believe he would be more cooperative if he did not face a continued barrage of justified rejection. Lifting his lifetime ban and reinstating his Seven Tour De France honours might achieve this. It seems that this is the perfect time to take stock from Armstrong, given that Astana, the team of 2014 Tour De France winner Vincenzo Nibali, is under review after three of its cyclists tested positive for banned substances in 2014. Undoubtedly, Armstrong is his own biggest enemy. If he showed more contrition and remorse, instead of continuing to be confrontational and aggressive, he might find his popularity improve. But maybe it is time for us, as cycling fans, to realise that this may never happen. Without a shadow of a doubt, Armstrong is a man who cheated his way, not only to the top of world cycling, but also into the hearts of millions of cancer victims around the world that saw him as a source of inspiration. He used his fraudulent story of overcoming adversity and illness to lure millions of dollars in donations for his foundation, thus tarnishing the brilliant work of honest individuals at the Livestrong Foundation. But it is now time to move forward, and the best way to do this is to study the mistakes of the past, rather than simply labelling it as an era of deception, dishonesty and immorality.